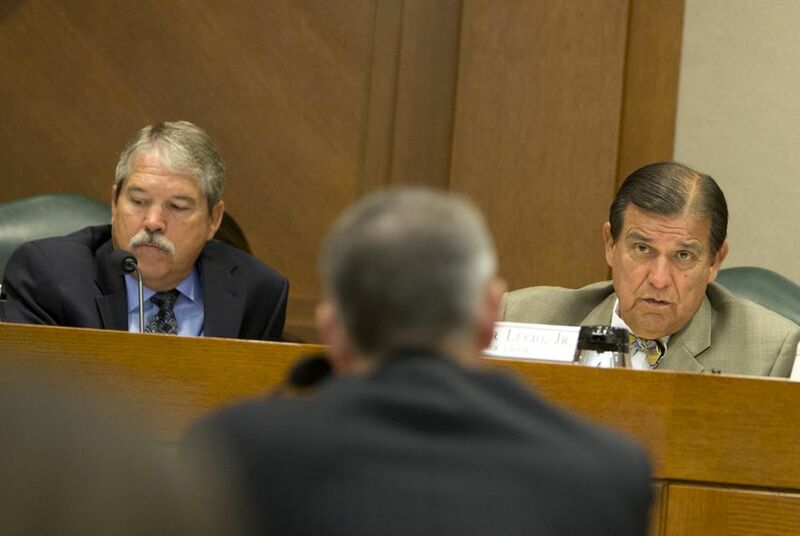 Roads and schools — two topics of perpetual concern to Texans — were debated again on Wednesday by state lawmakers in a pair of legislative hearings, both focused on where taxpayers should be spending their money. As the Tribune’s Kiah Collier reports, Senate Republicans appeared sold on a private school choice program at a Wednesday meeting of the chamber's education committee. The new concept here is to use education saving accounts, which would require the state to give taxpayer money to parents to spend on almost any education-related expense. The Senate Transportation Committee also met Wednesday to discuss the costs to pay off Texas tollways — a figure that rounds out to about $36.7 billion, a new Texas Department of Transportation report reveals. As the Tribune's Alex Samuels reports, state Rep. Joe Pickett, D-El Paso, asked TxDOT during the previous legislative session to figure out the cost of removing tolls across the state. “The state must insist TxDOT implement a plan to retire these tolls one by one until they’re gone,” said Terri Hall, head of Texans for Toll-Free Highways. “Tolls are the most expensive option and must cease to be the most used option. This toll tsunami is on autopilot, and we must declare no more." Rising Wages Lift Texas Poor, But Almost 1 in 4 Kids Still in Poverty, by Alexa Ura and Annie Daniel — Rising incomes helped lift more Texans above the federal poverty level in 2015, new census figures show, but poverty is still particularly prevalent among families with children and on the border. Illegal Central American Immigration Surges Again at U.S. Border, by Eleanor Dearman and Travis Putnam Hill — For the second time in three years, the U.S. Border Patrol is apprehending more non-Mexicans than Mexicans along the southwest border, most of them in Texas. Lawmakers Mull Legal Advice For People Who Can't Afford Lawyers, by Johnathan Silver — As more people in Texas go at civil cases without an attorney, the state and legal service providers are investigating ahead of the legislative session ways to make the process easier for those who represent themselves. Cruz, Cornyn Team Up to Raise Funds for Endangered Colleagues, by Patrick Svitek — U.S. Sen. Ted Cruz, R-Texas, is stepping up his efforts to protect the GOP majority in the upper chamber, teaming up with colleague John Cornyn to raise money for a half dozen vulnerable incumbents. Poorly Written Law Could Be Costly to School Districts, Paxton Says, by Edgar Walters — The attorney general's opinion lends credibility to school district officials who have criticized the special-education law for being expensive to comply with. Texas-Born Mexican Politician Pledges to Work with Lone Star State Leaders, by Julián Aguilar — During a trip to Austin Wednesday, Francisco Garcia Cabeza de Vaca, the governor-elect of Tamaulipas, got a head start on improving the relationship between Mexico and Texas. Ted Cruz Takes Dead Aim at Obama Administration in Internet Dispute, by Abby Livingston — U.S. Sen. Ted Cruz might be laying low politically, but this fall he's taking the lead on an obscure issue that could affect ongoing federal budget negotiations: Who should control how the Internet is organized? Ethics Commissioner: I Won't Heed Patrick's Call to Resign, by Patrick Svitek — A member of the Texas Ethics Commission is rejecting what he says was an effort by Lt. Gov. Dan Patrick to get him to resign. Texas A&M-Corpus Christi President Retiring, by Patrick Svitek – Flavius Killebrew, the president and CEO of Texas A&M University-Corpus Christi, announced Wednesday he is stepping down. • Tribune CEO Evan Smith leads a discussion with three presumptive new members of the Texas House Kyle Biedermann, R-New Braunfels, Gina Hinojosa, D-Austin, and Lina Ortega, D-El Paso. The early morning event takes place at The Austin Club and will be livestreamed on the Tribune’s website for those unable to attend in person. • The Senate Committee on Finance meets to monitor tax relief provided to property owners and efforts of the Department of Information Resources (DIR) to modernize the technology of state agencies. • The Senate select committee on Texas Ports meets during a morning meeting in the Capitol to hear invited testimony on the economic impact that inland waterways, coastal ports and inland ports have on the state economy, and the future impact that the Panama Canal expansion will have on Texas ports. — U.S. Rep. Michael McCaul in an appearance on CNN Wednesday morning where he said that Russian hackers targeted the Republican National Committee. He later claimed to have misspoke after an RNC official disputed his remarks. Why I ran for the Texas Legislature, by Lina Ortega — A presumptive incoming Texas House member writes that she's learned some saddening but unsurprising things about the gender and ethnic makeup of one of the most powerful bodies of state government in the country.